In October 1853 Brigham Young decided the site of the Utah Territory's first prison. The next year sixteen cells were constructed six miles from the city center at a spot now occupied by Sugar House Park and Highland High School. In the beginning, the six-mile difference seemed enough of a buffer between the convicts and citizens of Salt Lake. But residential development crept closer to the expanding prison as the city grew. The proximity was a problem. 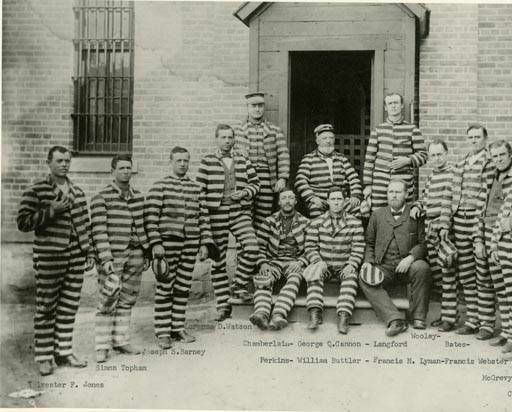 Between 1855 and 1878, 47 of the 240 prisoners escaped, most likely motivated by a lack of guards. Reputedly signs were placed along 2100 south saying, "Drive carefully – Prisoners escaping!" 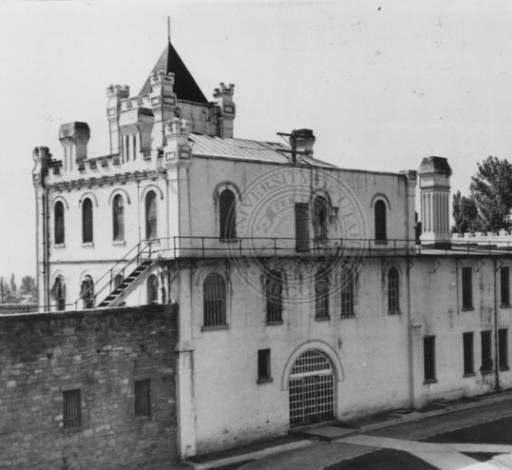 Though the prison expanded and new walls and cell houses were built escapes were common. Neighbors would often hear the prison bell that tolled the latest runaway. 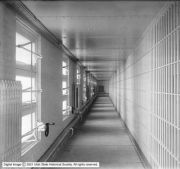 In addition to the potential for black and white striped escapees on the loose, inmates were known to holler at passersby from inside the walls. In 1951 the specters and sounds of prisoners in the midst of Sugar House disappeared when the state relocated the prison to the point of the mountain in Draper. In its lifetime the Sugar House Prison housed all kinds. The state legislature wrote to Congress in 1867 to solicit improvement funds, insisting that Utah was a thoroughfare to the Pacific and subject to "the marauding depredations of dishonest and unprincipled adventurers." 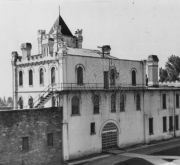 Along with depraved marauders the prison also held convicted polygamists, among them influential Utahans and leaders of the Mormon faith. Maybe the most famous inmate of the Sugar House Prison was labor organizer Joe Hill, who was executed at the prison on November 19, 1915. 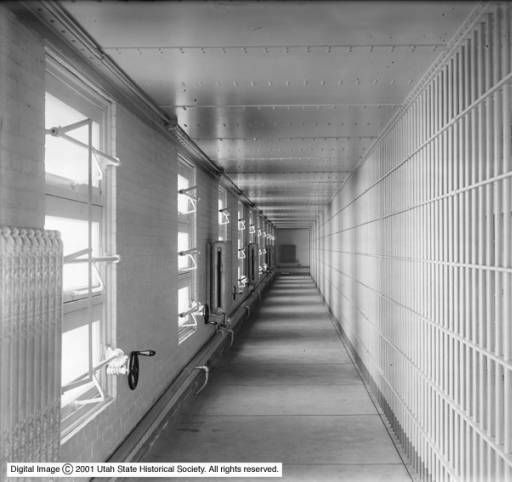 Perhaps to their benefit, women convicted in Utah from 1938 to 1957 didn't have to spend their prison sentences with unprincipled adventurers, polygamists or agitators because Utah sent them to the Colorado State Penitentiary. Before the prison was torn down the abandoned structure became a playground for local kids. For a while the cells held imaginary murderers and con men, figments the kids could play alongside. The towers stood guard over shadows that paced the yard. Now, years after the towers were torn down, kids escape to the playgrounds and baseball diamonds at the sound of a school bell. Their parents holler at each other across the volleyball courts or mingle beneath the pavilions. A site once used to ensure convicts did their time now exists as a space where citizens can simply pass it. Revisiting the glory days of small-town Sugar House by Cathy Free in The Deseret News.